We moved in January, and this is our first summer in this house. 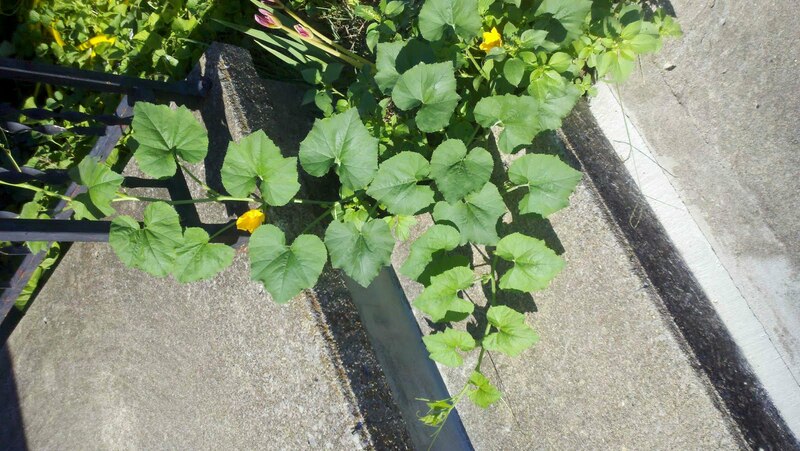 This past week we noticed this interesting little vine growing next to the front porch in the flower bed and decided to let it grow. ﻿I am almost 100% sure it is a pumpkin plant. It has blooms on it so I guess we will just have to wait and see! It does seem so strange that it waited until the beginning of August to start growing though! It is a squash of some sort. I can't tell by looking at that because to me squash, gourds, pumpkins and melons all look alike until the fruit appears!